Didi Gregorius continues to have the hot hand. The New York Yankees shortstop, who made history Wednesday (September 20) by shattering Derek Jeter‘s single-season franchise home run record for a shortstop with his 25th circuit blast of the campaign, has signed an exclusive collectibles deal with Steiner Sports, it was announced today. Gregorius joins Steiner’s impressive exclusive line up which includes Jeter, Mariano Rivera, Andy Pettitte, Eli Manning, Odell Beckham, Jr., Mark Messier, Henrik Lundqvist and newly-inked Stephen Curry. 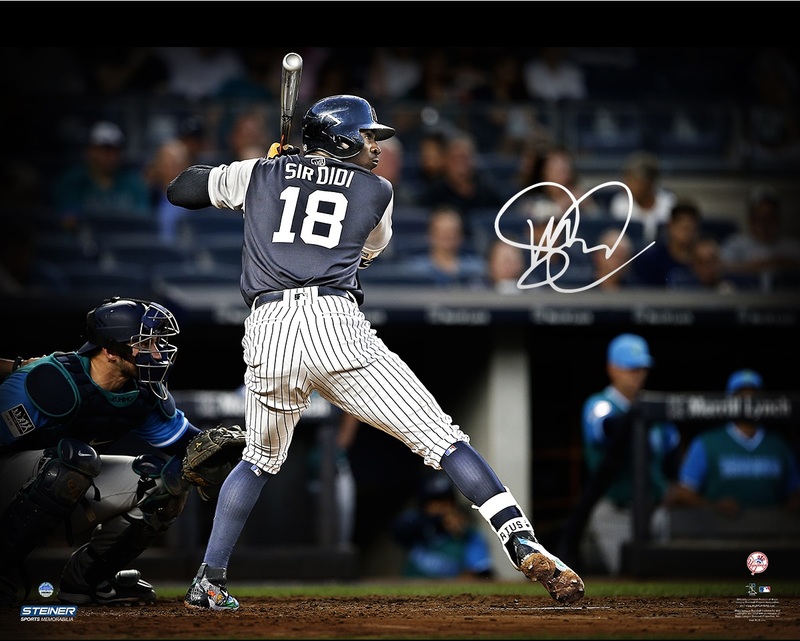 The Didi memorabilia line which is sure to delight collectors and Bombers fans alike will include autographed game model bats, special inscription baseballs, game-used collectibles, and special edition pieces. Visithttps://www.steinersports.com/collections/didi-gregorius. Gregorius has emerged as a bona fide star, capturing the fancy of Yankees zealots with his charm and demeanor off the field, and a display of power and clutch-hitting that has kept the Bronx Bombers in stride with the Red Sox in the American League East pennant race. The Yankees have won three straight, seven of their last eight, and 10 of their last 12, in large part thanks to Didi’s potent bat.